GENEVA, ILLINOIS — The USHL announced Thursday that Steel forward Robert Mastrosimone will skate for Team East for the USHL/NHL Top Prospects game on January 8, 2019 at the Ice Box in Lincoln, Neb. The two-day event will feature the USHL’s top NHL Draft-eligible talent and begins January 7 with the game taking place on the 8th. This is the fifth year in a row the USHL has presented the game and the first time that the Lincoln Stars are hosting. The game has traditionally been attended by scouts from every NHL team. Last season, forward Blake McLaughlin and defensemen Graham Lillibridge and Xan Gurney participated in the USHL/NHL Prospect Game that was played in Kearney, Neb., home of the Tri-City Storm. Mastrosimone is currently away from the Steel as he represents Team USA at the World Jr. A Challenge that takes place December 9 to 15 in Bonnyville, Alberta. It is Mastrosimone’s fourth time representing his country this season. 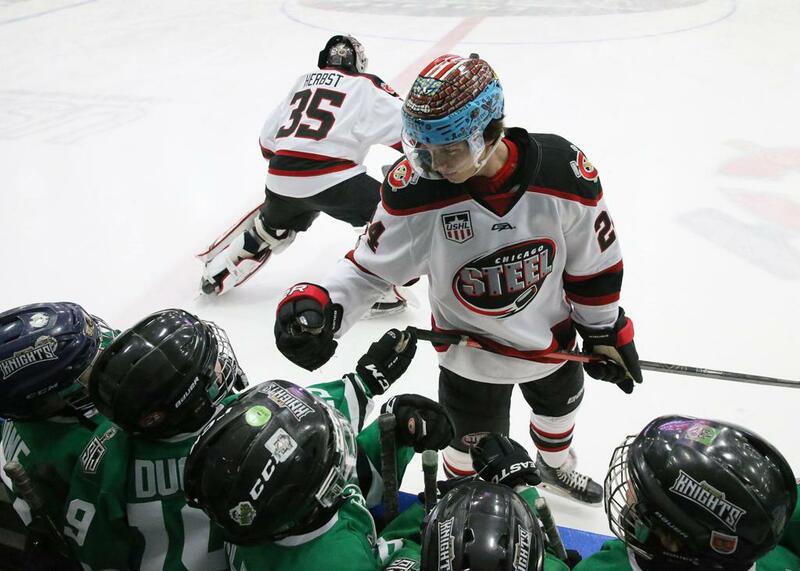 The Steel have a pair of games this weekend beginning with a road game at 7:05 p.m. on Friday in Des Moines. Chicago returns home to Fox Valley Ice Arena Saturday night for a 7:05 p.m. faceoff against the Omaha Lancers. The game is also Rusty’s Birthday Celebration and will feature a mascot hockey game as more than a dozen local mascots are scheduled to attend. Be sure to stick around after the game for the second Skate with the Steel this season for your chance to skate with the future stars of college and professional hockey.